Opito Bay and Beach, with flowering pohutukawa tree. Opito Point and Rabbit Island centre, with Ohinau Island beyond. 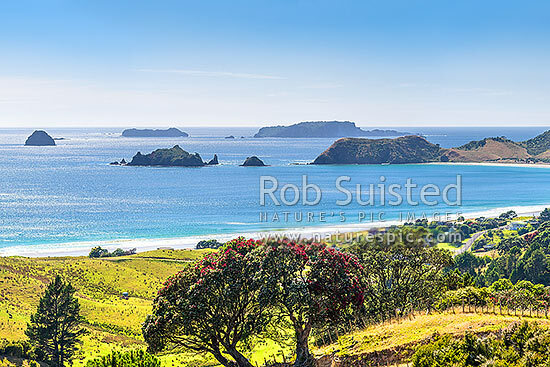 Summer, Opito Bay, Coromandel Peninsula, Thames-Coromandel District, Waikato Region, New Zealand (NZ), stock photo.